There are new and creative ways to get the audience’s attention but holding their attention is something else. Infographics have proven to do exactly that as a blend of words and images and easy-to-digest communication is exactly how people like it nowadays in a world where attention is shorter and people are busier. In this pack you get 15 incredible infographics which you can use to enhance your brand and credibility and get those buyers to pull out their credit cards. You’re in it to make money and be successful aren’t you? If you want to achieve that then you need to get your message across the right way. That means make it nice, flashy and explosive so that you can impress the heck out of your targeted buyers. That’s how the most successful companies do it and it’s time for you to make your path and join them. Are you ready to rock? Say yes! 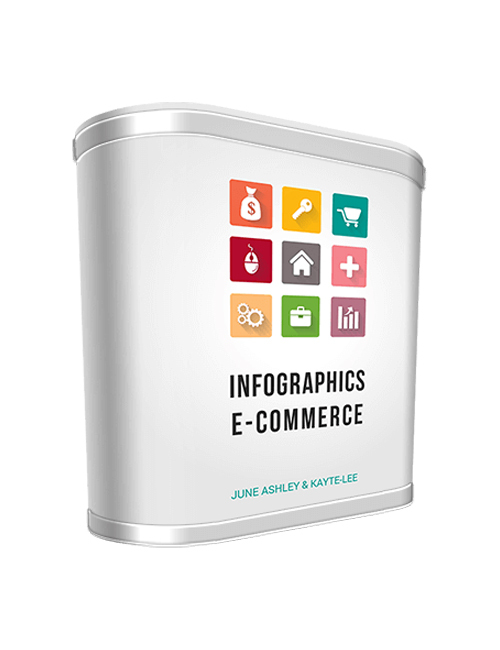 Infographics E-commerce is here and waiting for you and there’s no better time than right now to hit the button and make your business sky-rocket. Make it happen.